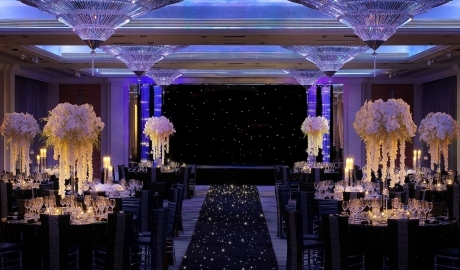 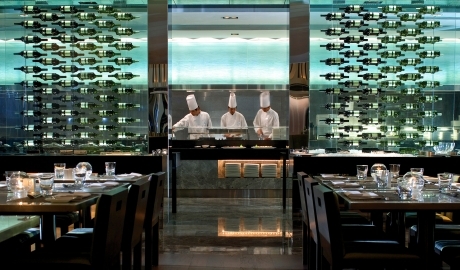 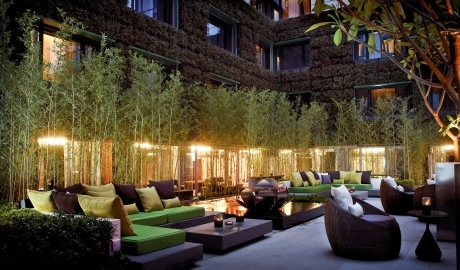 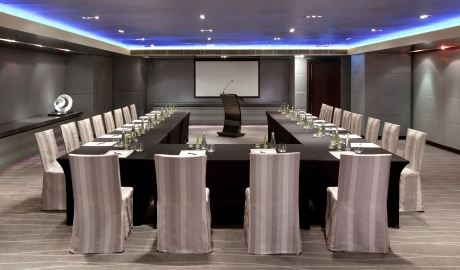 Overlooking orchid-scented Kowloon Park, The Mira Hong Kong is located in the heart of Tsim Sha Tsui. 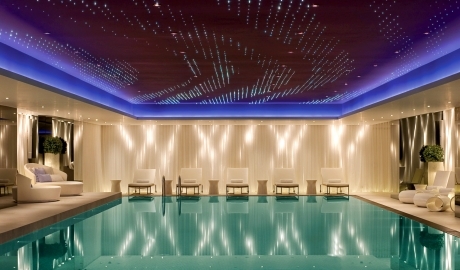 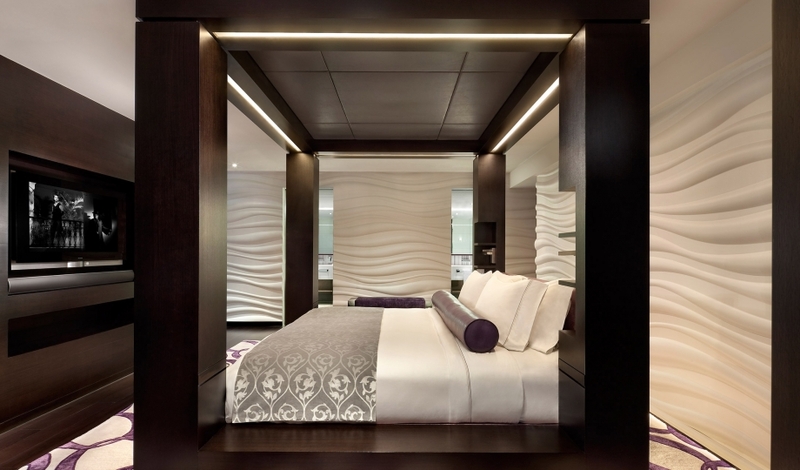 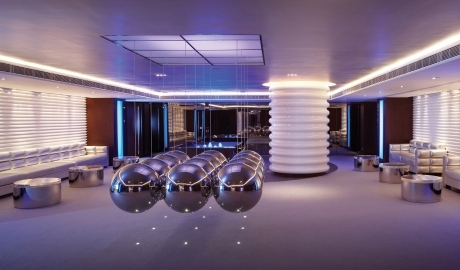 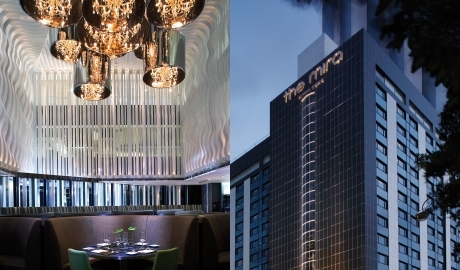 From its award-winning 21st-century spa to the mirrored walls of its crisp contemporary bedrooms, The Mira Hong Kong has been designed as a sanctuary for inner-city reflection. The curving white fins of the lobby’s vaulted ceiling create a sphere of open space, while jade-green stalks of bamboo add soothing natural textures to the private cabanas at Vibes bar. 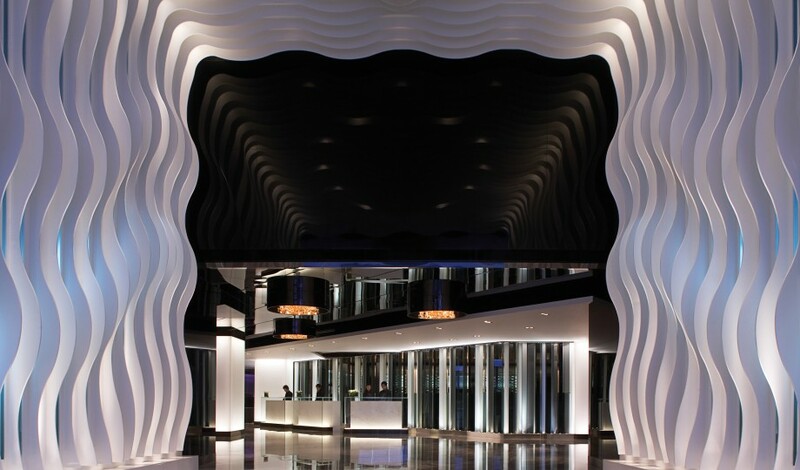 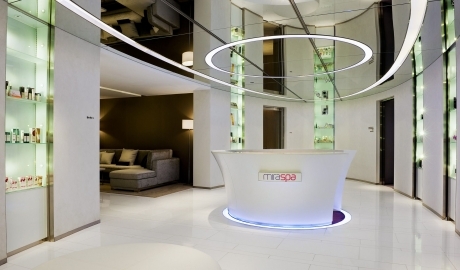 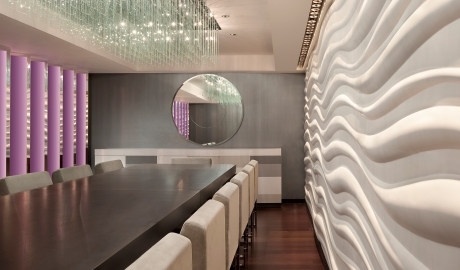 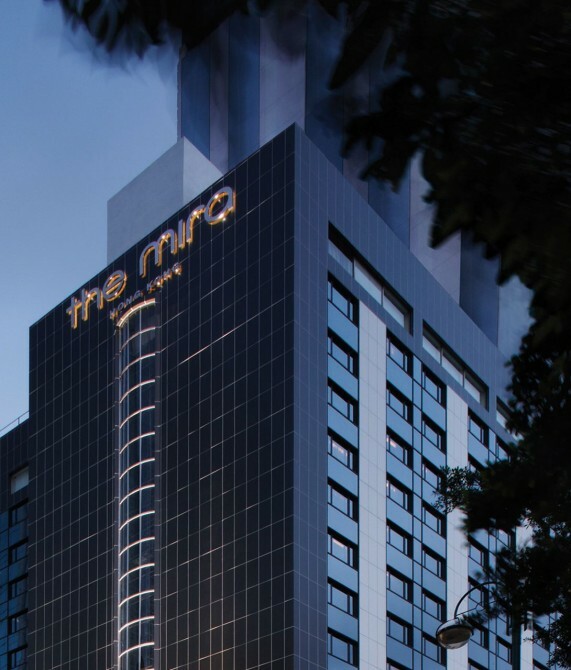 The Mira Hong Kong melds traditional Asian hospitality with touchable technological wizardry—each of its 492 rooms and suites is equipped with a sleek, portable, and complimentary WiFi device for use on-the-go, allowing for 24/7 connectivity and sharing the signal to up to 10 devices. Guests can also experience contemporary European cuisine at WHISK, where innovative dishes are paired with exquisite, handpicked wines from an impressive collection. 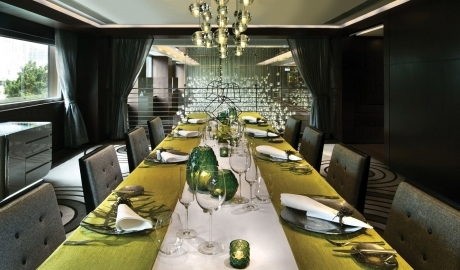 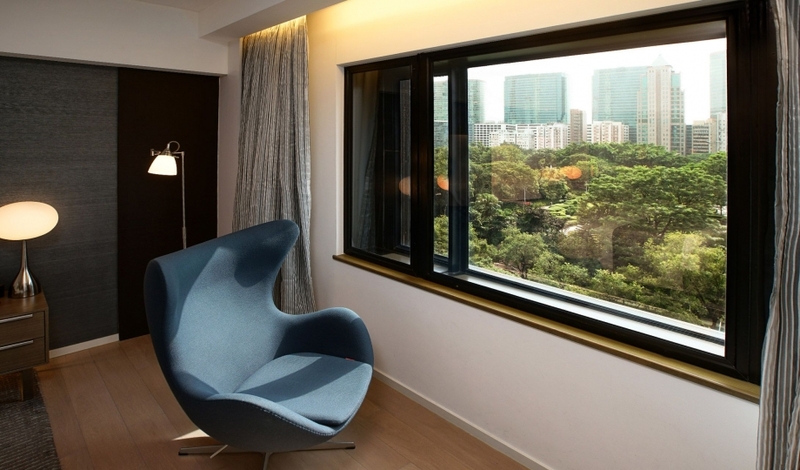 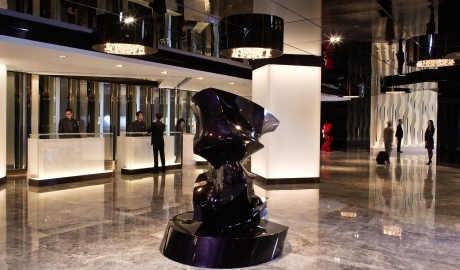 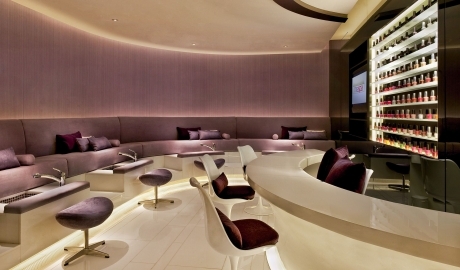 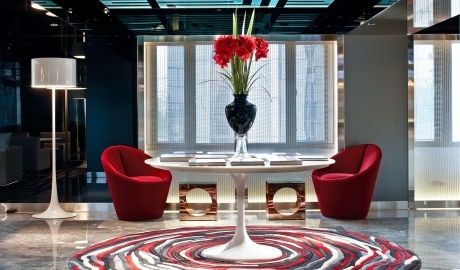 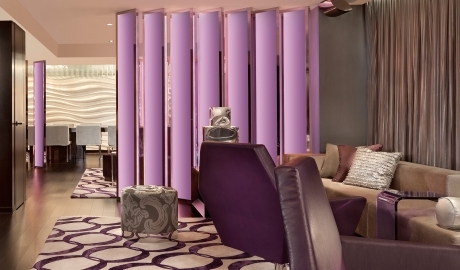 The Mira Hong Kong's 492 vibrantly accented rooms feature modernist chairs like Arne Jacobsen’s Egg chair. 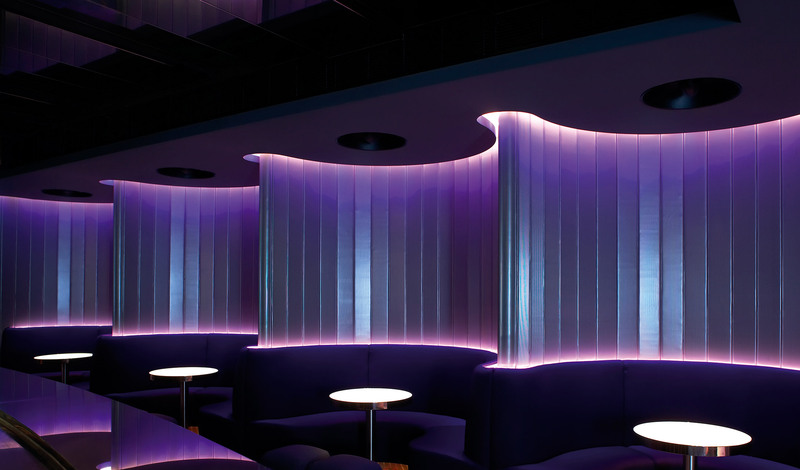 Bose speakers create warm, resonant soundscapes that bounce off the translucent bathroom walls, while tropical-strength rain showers provide solace from the heat of Hong Kong’s vibrant, neon-lit streets. 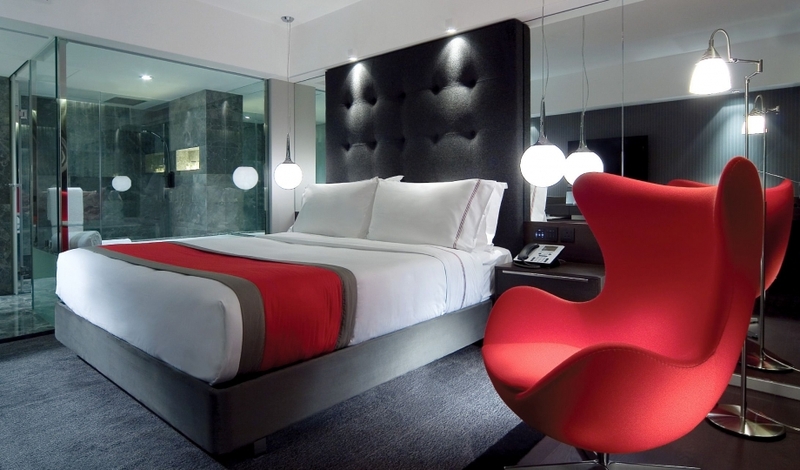 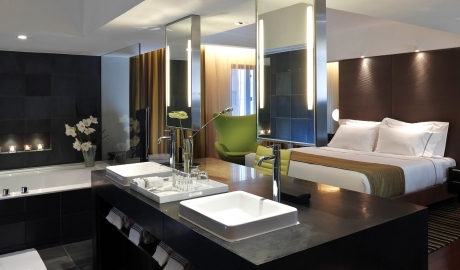 High-tech touches in the bedrooms include personalized color schemes, 40-inch LCD TVs, and a smart ‘My Mira’ service that puts you in touch with a concierge at the touch of a button. There’s even a portable "WiFi Buddy" that you can take with you as you roam around Hong Kong for unlimited on-the-go connectivity. 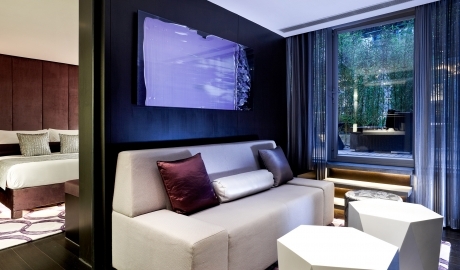 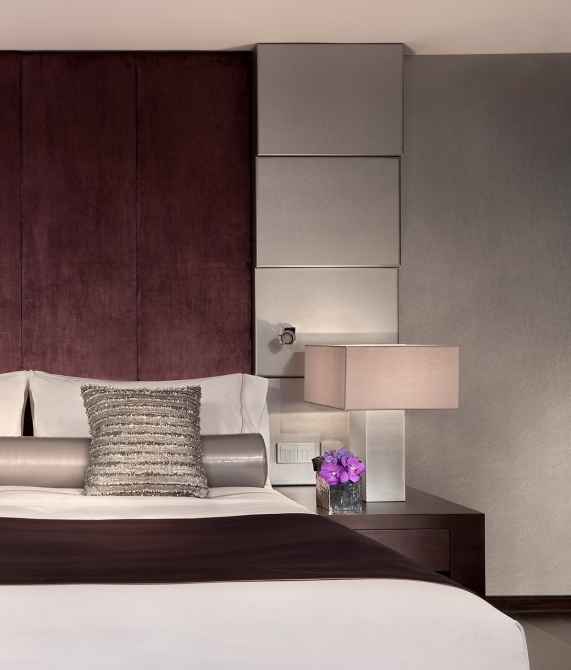 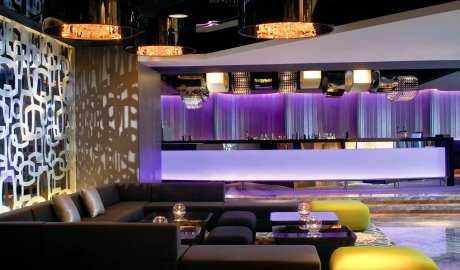 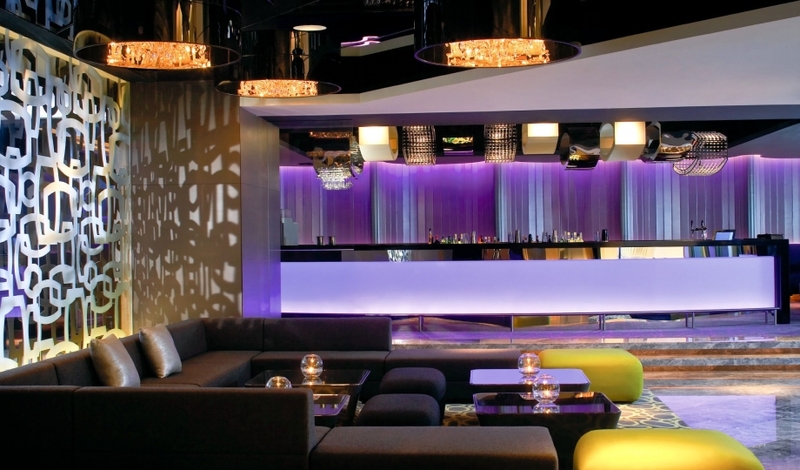 The Mira’s eight metallic, purple-hued Specialty Suites, uniquely feature black wooden floors, angular white tables and silver, cone-shaped armchairs and designer couches, and have private terraces facing the leafy fifth-floor open-air lounge or the city. 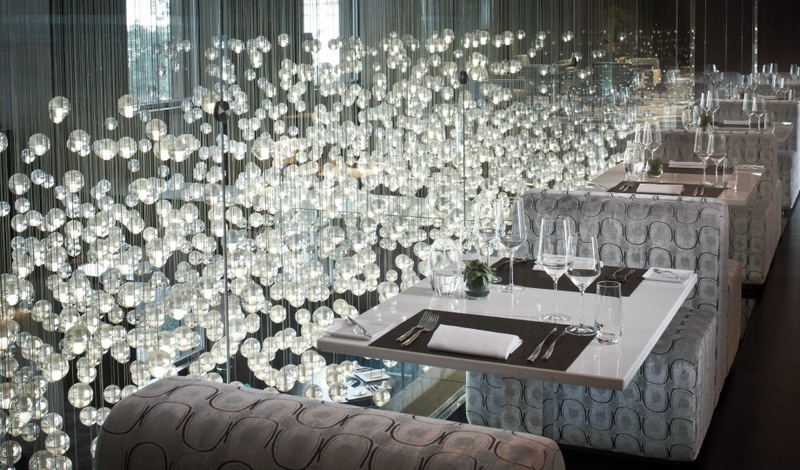 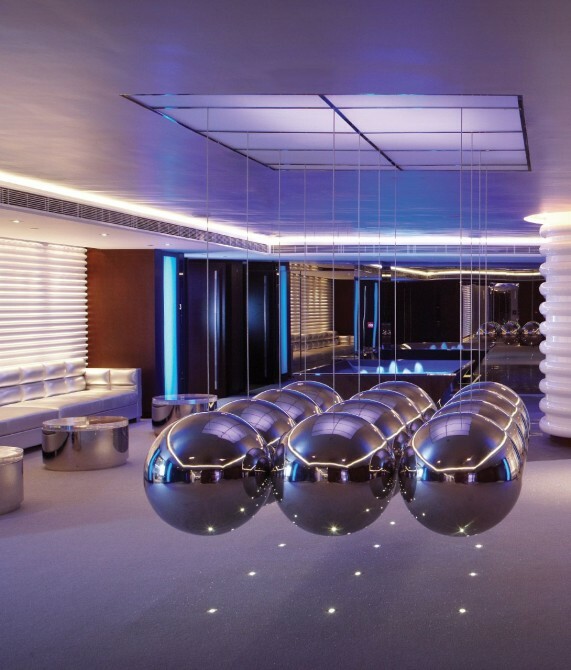 Miami-based designer Chares Allem is known for his touch of the extraordinary, seen here in the meeting and conference space where large suspended orbs vie for attention with polished furniture and playful lighting. 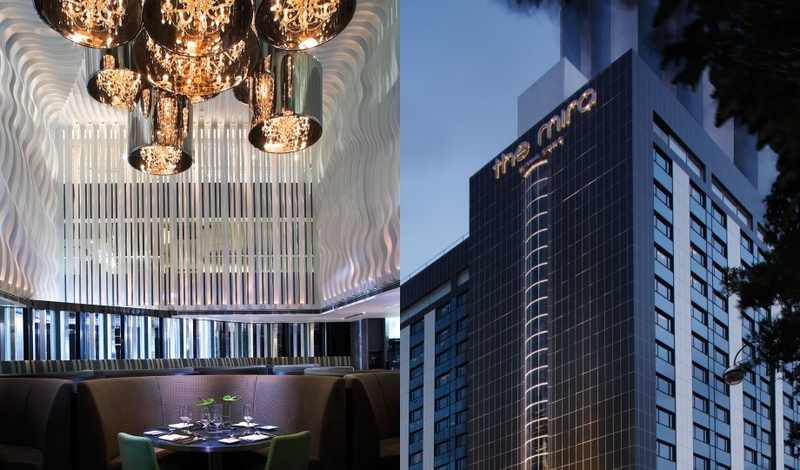 The Mira’s smooth, slate black facade is a study in minimalist efficiency, soaring high above the perfumeries and designer boutiques of this Hong Kong neighborhood. 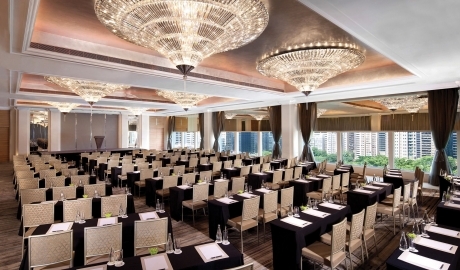 In Hong Kong’s south Kowloon area, the Tsim Sha Tsui neighborhood is one of Hong Kong’s primary attractions due to its skyscraper-filled cityscape, abundance of high-end shopping opportunities—particularly on and around Nathan road—fine dining options, and wide selection of museums and cultural institutions.